If you are charged with a crime, you have the legal right to be represented by an attorney who will defend your case in court. But in criminal trials, your choice of attorney can make a huge difference in the outcome of your case. 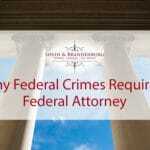 The attorneys at the Federal Criminal Law Group provide experienced legal representation in both federal and state courts, working to protect your interests before, during and after the trial. Unlike civil lawsuits in which one person or organization (the plaintiff) sues another party (the defendant) for damages in some form of dispute, criminal trials deal with the breach of federal and state laws. In criminal cases, the government is the plaintiff, and the penalties for conviction may include fines and prison time. The plaintiffs (the prosecutors) are lawyers who work for the government, and by the time you are charged with a crime, they have already been working on their side of the case. This is why it’s important to hire an experienced criminal defense attorney as soon as you are aware of possible charges: you need someone who is skilled and knowledgeable of the nuances of the law who can assemble a defense quickly and professionally. In a criminal trial, a jury of 6-12 citizens will be selected by agreement of the prosecuting and defense attorneys to hear and decide your case in court. Each side will have the opportunity to present evidence and call witnesses, and both sides have the opportunity to cross-examine witnesses called by the other side. The jury verdict for guilt or innocence must be unanimous either way; if they cannot come to agreement, the trial judge declares a mistrial, and the process begins again with a new jury selection. In criminal trials, an effective defense begins long before the trial begins, and if necessary, continues after the trial has concluded. In many cases, pre-trial negotiations can result in reduced or dropped charges or reduced penalties (especially in plea bargain deals), and in some cases a formal trial can be avoided altogether. Likewise, if you are convicted, an experienced attorney may be able to employ several strategies during the post-trial phase that can result in sentence mitigation and even overturned verdicts. Cases involving federal offenses are tried in federal district court within the specific jurisdiction where the alleged crime(s) occurred. 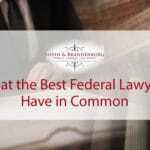 Federal trials are different from state trials in a number of ways, and the pre-trial period is usually shorter for federal cases than for state cases. Having a criminal defense lawyer with prior experience in the federal court system can be very advantageous in such cases. 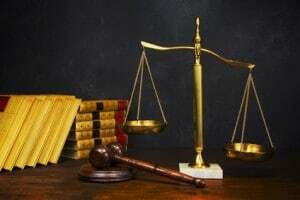 In most criminal cases, the jurisdiction falls to the state, which means the trial will be held in the state court system where the crime occurred. Each state has variations in court structures and procedures, but in most cases, state trials are held in the county seat of the designated jurisdiction. If you’re charged at the state level, depending on the court structure, the nature of the offense, etc., your trial may take place in a county court, district court, superior court or state circuit court. Each state also has its own appeals court hierarchy for cases that are appealed.